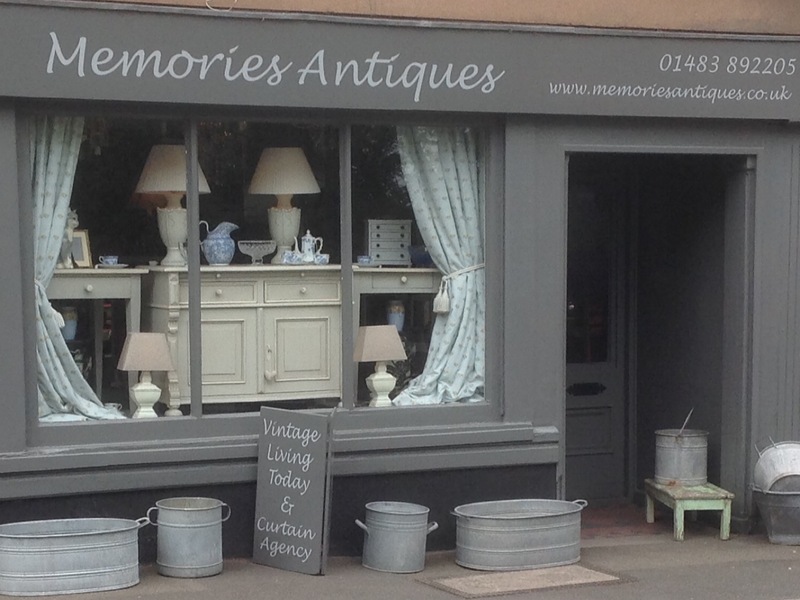 For over 30 years Memories Antiques near Guildford, Surrey has provided painted vintage and antique country furniture, whilst delighting customers with beautiful interior home furnishings. 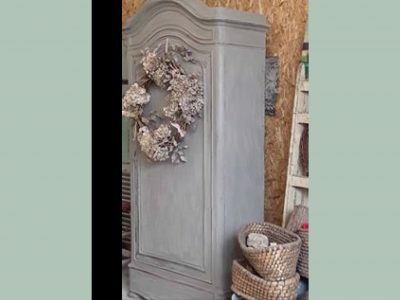 We stock French shabby-chic, and traditional furniture as well as lighting, curtains, silverware and decorative accessories. Our traditional wooden furniture adds a sense of heritage and elegance to your space, creating a classic look that can be styled with accessories. 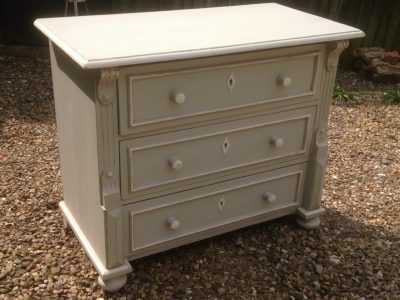 Whilst our hand-painted furniture brings warmth and softness to the home. 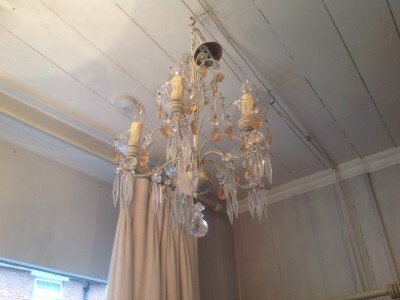 Each piece is completely unique with styles sourced from Great Britain and mainland Europe. 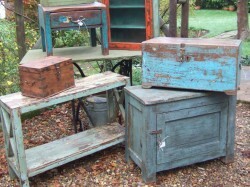 For a more rustic look, our fascinating and expertly crafted Rajasthan artefacts are hugely popular. 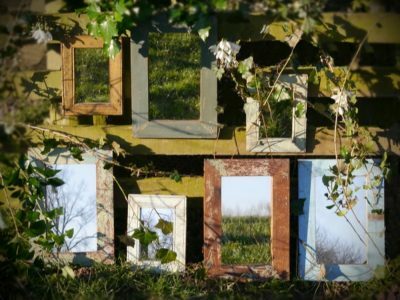 The eclectic mix includes window shutters with added mirrors, candlesticks, decorative bowls and hooks for your family hallway. 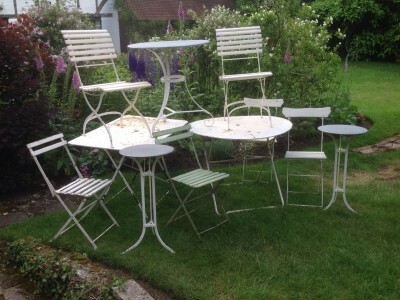 Along with our wide range of interior décor, we also source restored French garden furniture to add a finishing touch to any landscape. Alternatively, if you're shopping for a special occasion or gift, you'll love exploring our stunning range of silver, jewellery and decorative items for the home. 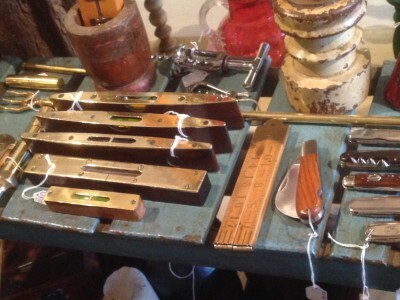 Whatever your reason for stopping by, we'd be delighted to share our extensive knowledge of antiques and interior decor with you and help find that perfect piece that you're looking for. 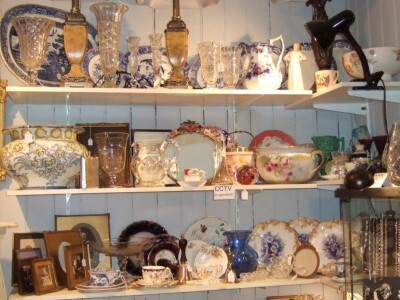 Make your wish list as personal and unique as your wedding with Memories Antiques. Just as in a department store, the bride and groom choose their desired items and can issue the details with their wedding invitations. 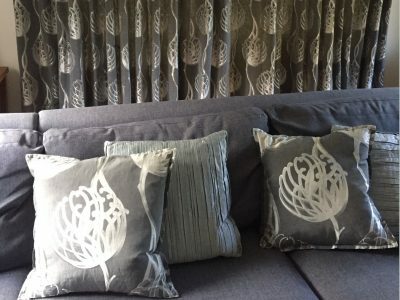 Discover a beautiful range of second-hand, top-quality fabric interlined curtains in excellent condition and at a fraction of their original cost. 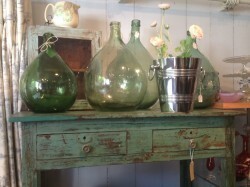 Need a little help finding the perfect piece for your space? Our free search and find service is the perfect way to track down that longed-for item that has eluded you. 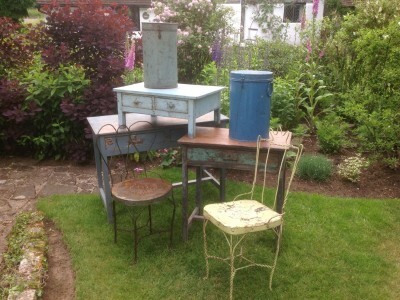 From furniture to furnishings this is a selection from our latest arrivals. 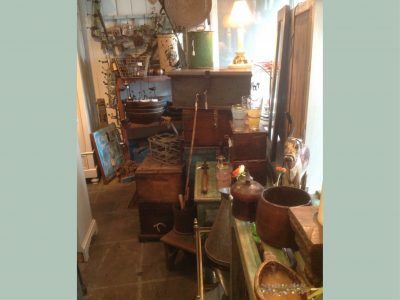 Our stock is ever changing and we suggest a visit to our shop to get a full measure of the variety we offer to suit any home. 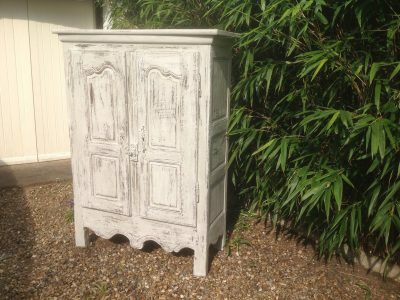 Vintage French arched top shelved armoire, 2 drawers on bun feet. 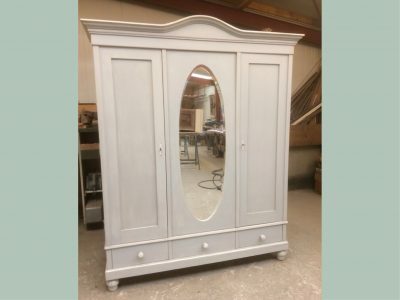 Vintage Continental arched top double wardrobe with mirrored doors, 2 drawers below, on bun feet. 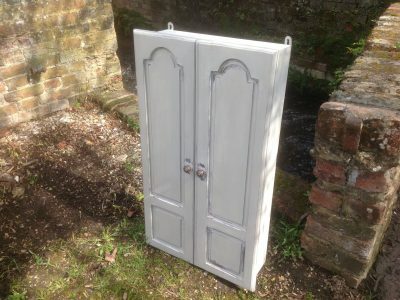 Vintage continental triple arched top wardrobe with drawers. Dismantles for transportation. 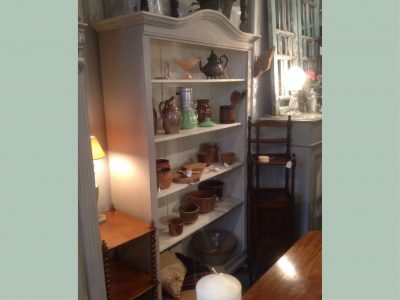 Vintage French shelved cupboard with panelled doors and sides. 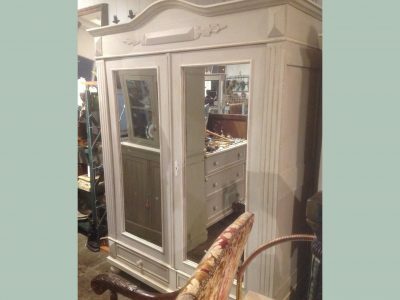 Vintage French shelved arched top armoire with 2 drawers, on bun feet. 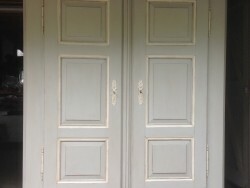 Vintage French wall hanging cabinet with 2 panelled doors. 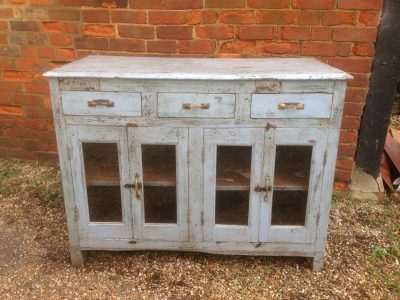 Vintage Rajasthan 4 door glazed cabinet with 3 drawers. 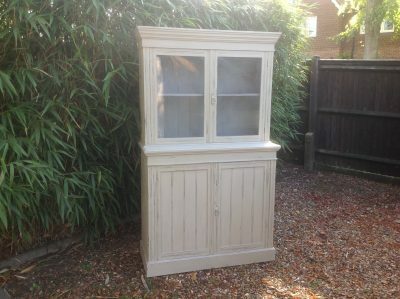 Edwardian cupboard with glazed top, adjustable shelf. 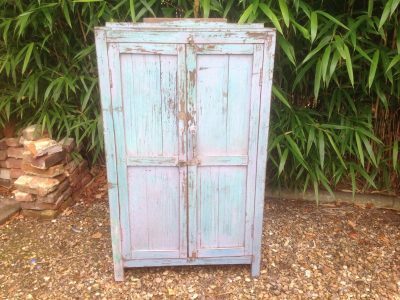 Vintage Rajasthan painted 2 door side cabinet. Shelf inside. 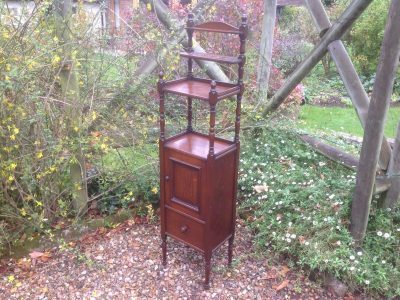 19th century oak smokers cabinet, pipe rest, open shelf with cupboard and drawer below, on turned supports. 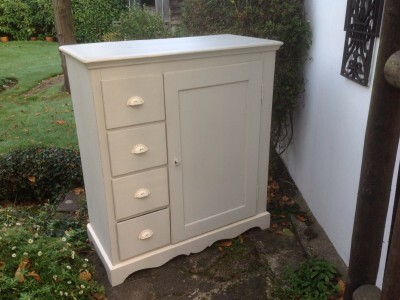 Vintage continental painted cabinet with 4 deep side drawers. 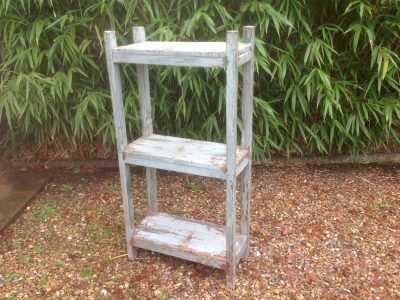 Vintage Indian painted rack, with 4 open shelves. 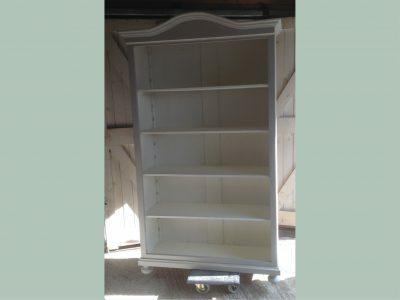 Vintage continental bookcase with adjustable shelving. 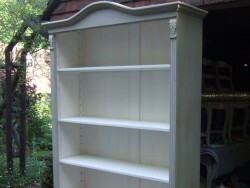 Continental vintage arched topped open bookcase with adjustable shelving, on bun feet. 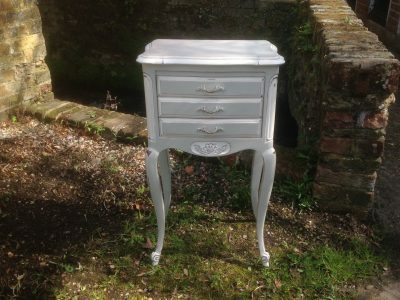 French chest of 3 drawers on cabriole legs. 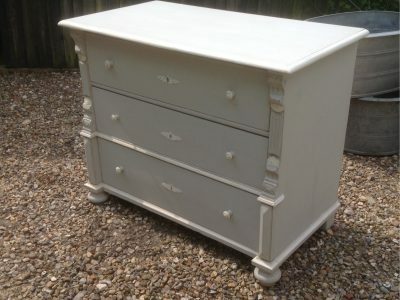 Vintage continental chest of 3 drawers, breakfront bottom, on bun feet. 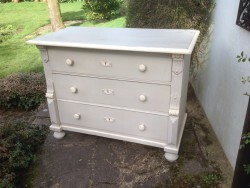 Vintage continental chest of 3 drawers, on bun feet. 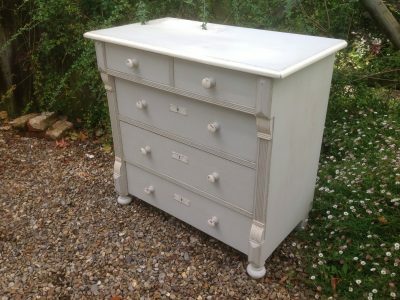 Vintage continental chest of 3 long deep drawers, on shaped feet. 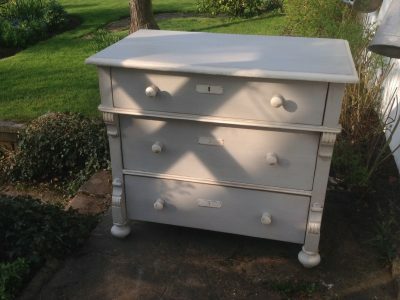 Vintage continental chest of 2 short & 3 long drawers, on bun feet. 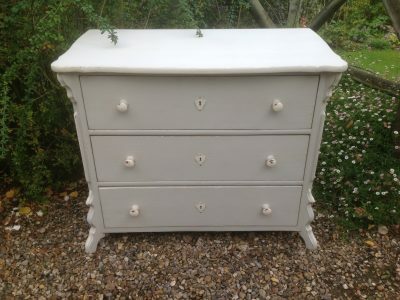 Vintage painted continental chest of 4 deep drawers with side cupboard. 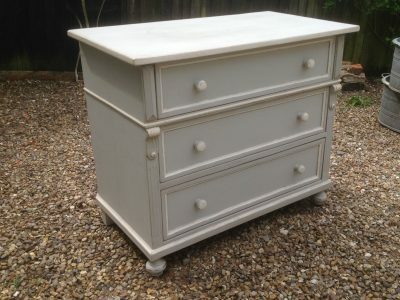 Vintage continental chest of 3 graduated drawers, breakfront bottom, on bun feet. 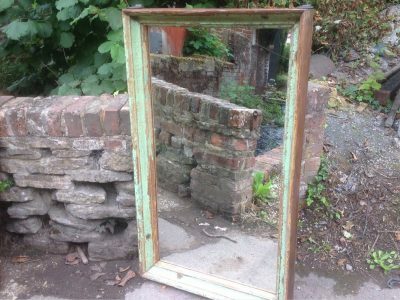 Vintage Indian painted window frame with added mirror. Portrait or landscape. 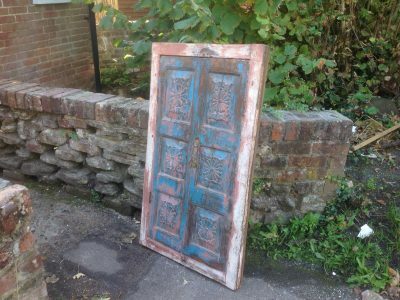 Vintage Indian carved wooden shutters with added mirror behind. 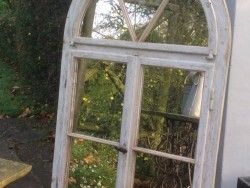 Vintage Indian painted window frame with added mirror to be hung portrait or landscape. 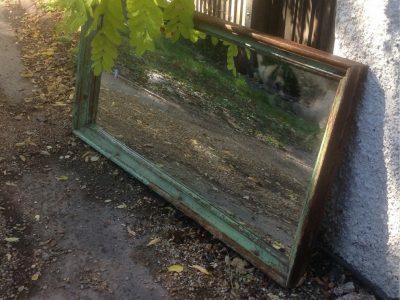 Vintage Indian painted window frame with added mirror. Can be portrait or landscape. 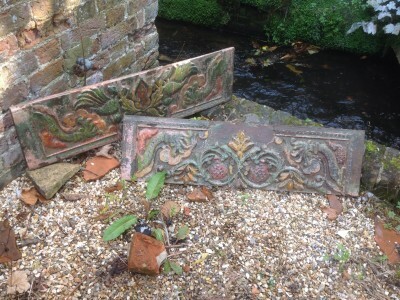 Indian painted ceiling panels. 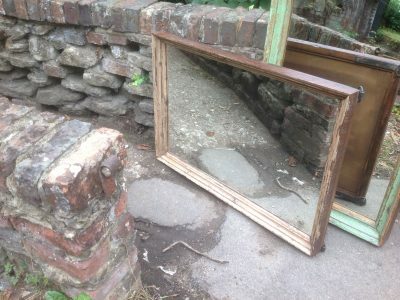 Mirrors added. 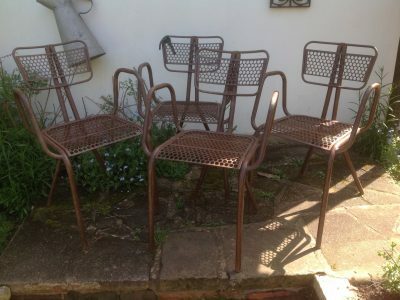 Vintage set of 4 metal "industrial style" dining chairs. 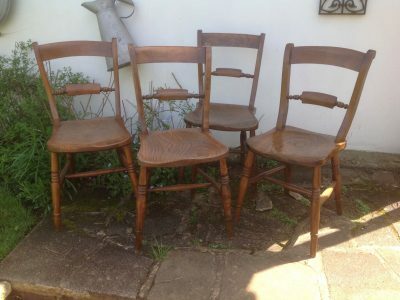 Set of 4 Victorian elm chairs. 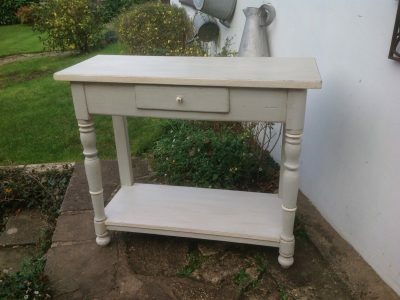 French side table with 3 drawers on cabriole legs. 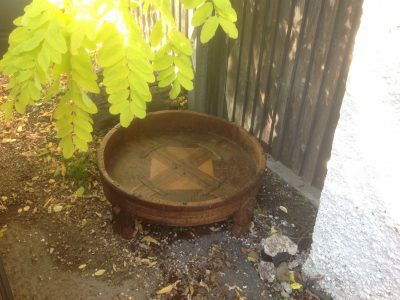 Vintage Indian carved grinding table. Ideal coffee table. 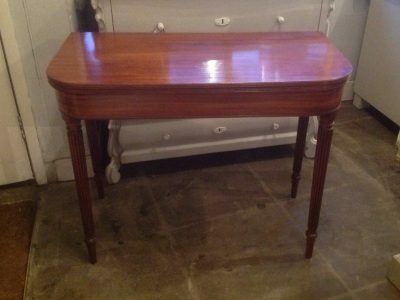 One of two Vintage continental console tables, single drawer, undertier, on turned legs. 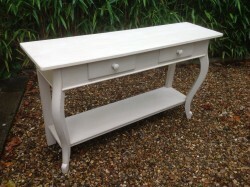 One of two Vintage Continental 2 tier console tables, single drawer, on turned front legs. 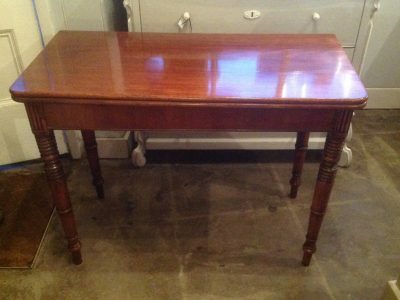 Georgian mahogany fold over tea table on reeded legs. 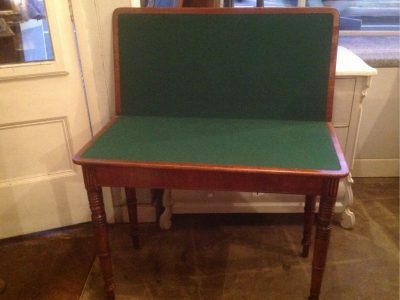 William IV mahogany fold over card table with green baize fitted interior. 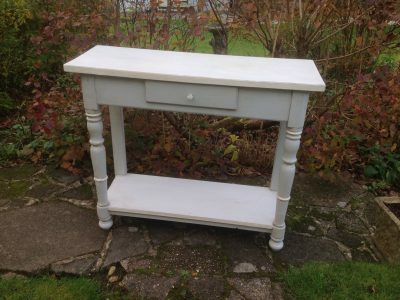 Vintage Indian console table with square legs. 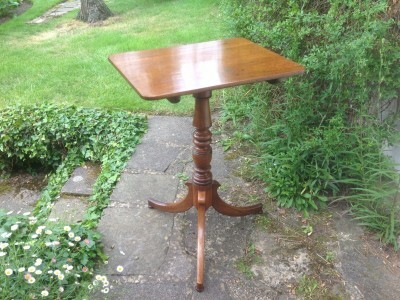 19th century mahogany pedestal ocassional table. 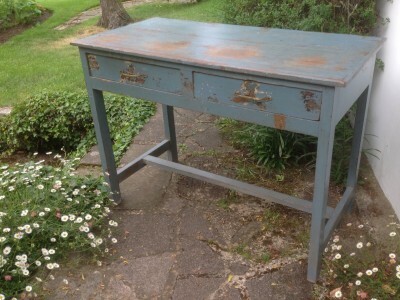 Vintage Rajasthan 2 drawer desk. 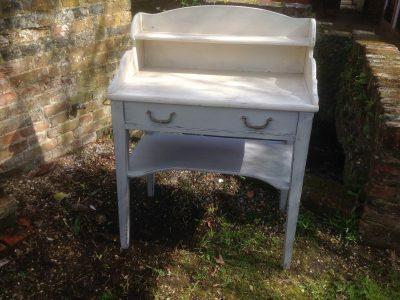 Ideal side or dressing table. 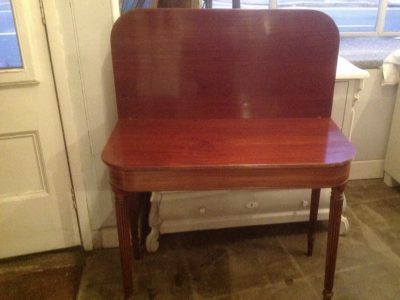 Vintage Indian floor standing open rack. 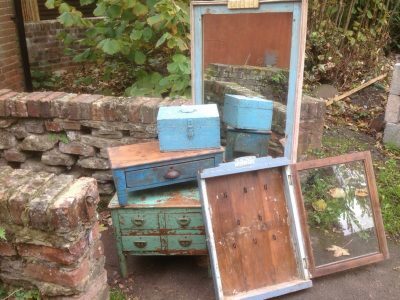 Collection of vintage Indian items, from key cabinet to boxes, tables and mirror. 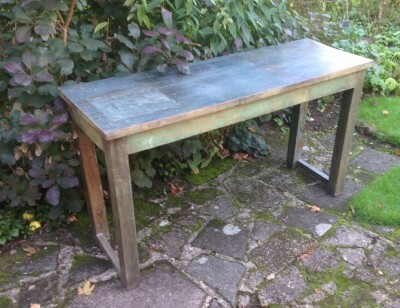 Vintage carved grinding table. Ideal coffee table. 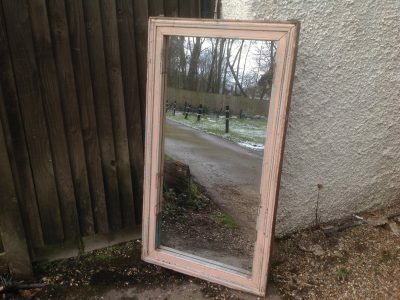 Vintage painted window frame with added mirror. Portrait or landscape. 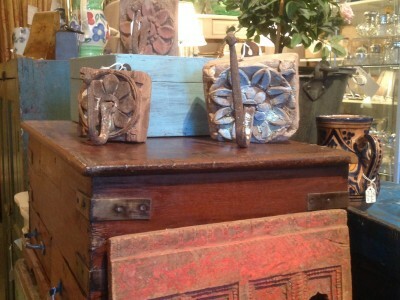 Vintage carved shutters with mirror behind. 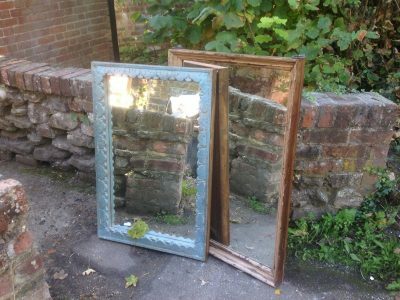 Vintage painted window frames with added mirror. Portrait or landscape. 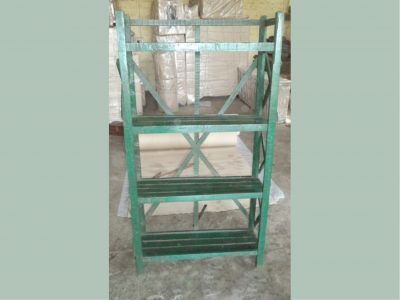 Vintage Rajasthan painted rack, four open shelves. 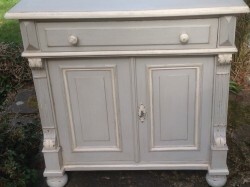 Vintage 2 door side cabinet. 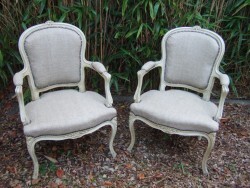 Latest selection of Rajasthan tables and chairs. 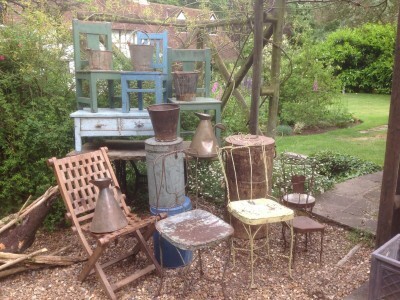 From canisters to use as side tables, buckets for plants, interesting metal & wooden chairs for adults and children. Selection of interesting Rajasthan artefacts. Stunning antique carved and painted wall hanging panels from Rajasthan. 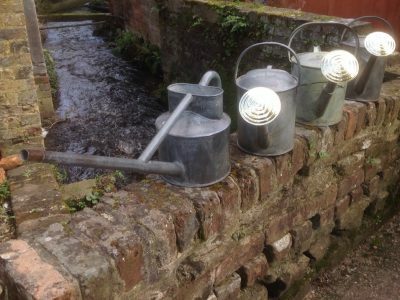 Vintage polished galvanised watering cans with brass rose. 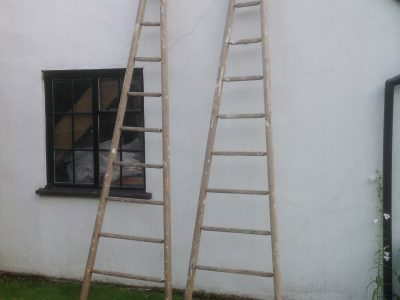 2 vintage French fruit picking ladders. 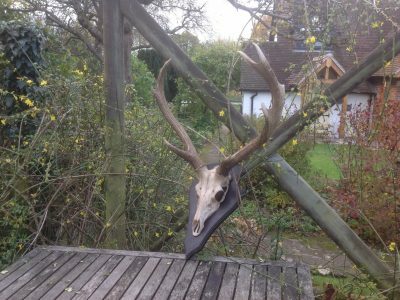 Ideal for creating a pergola. 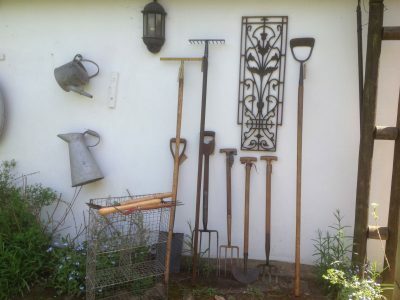 Selection of vintage gardening tools. 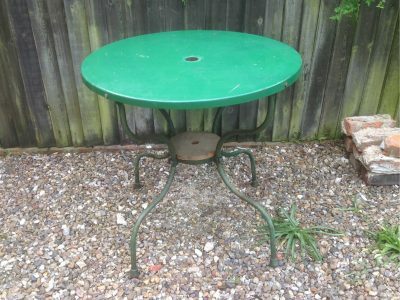 Vintage French circular metal table. 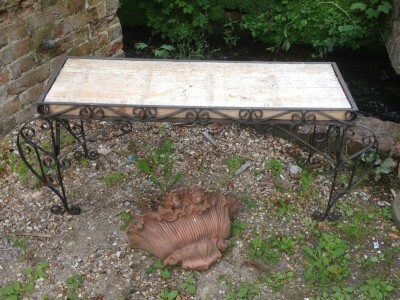 Vintage Italian long, low metal table with wooden inset top. 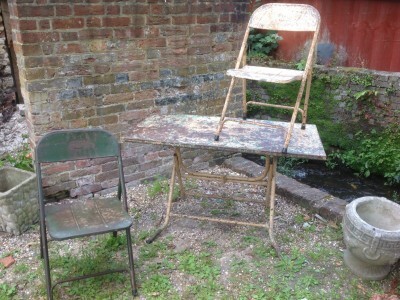 Vintage Indian folding metal table and chairs. More chairs available. 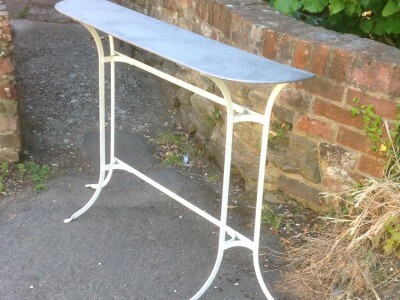 Long narrow zinc top console table with metal legs. Selection of French garden tables and chairs. 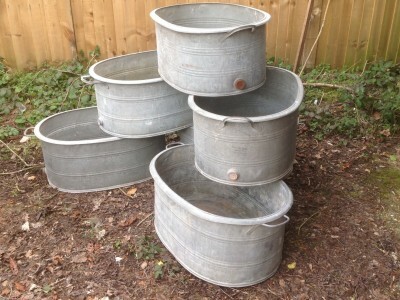 Vintage galvanised oval continental baths, with 2 handles. 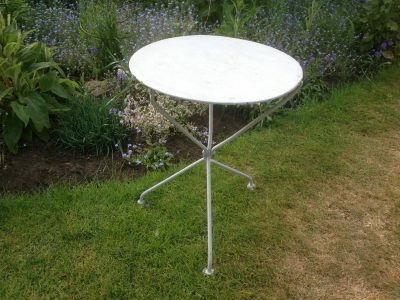 Ideal for plants, chilling drinks or washing the dog! 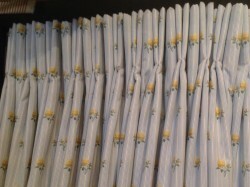 3 roman blinds, pleated silver grey fabric and 6 cushions. 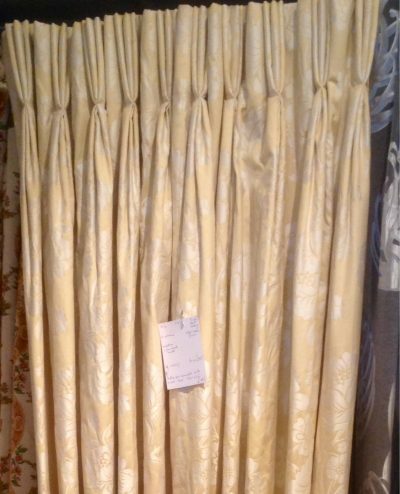 Pair of damask style cream curtains, full length. Another pair available. 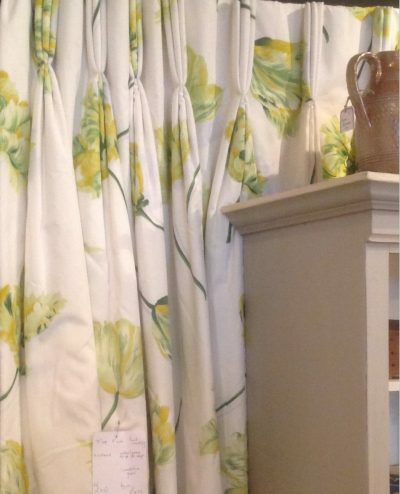 A preloved pair of full length curtains with yellow and green tulip decoration. Lined and interlined. 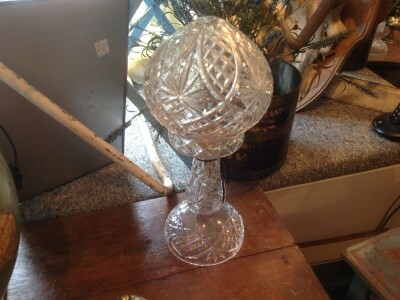 20's cut glass mushroom shaped table lamp. 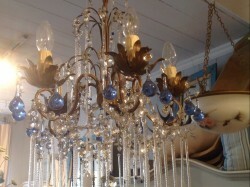 Rewired French style 5 arm chandelier with painted cage, and cut glass drops. 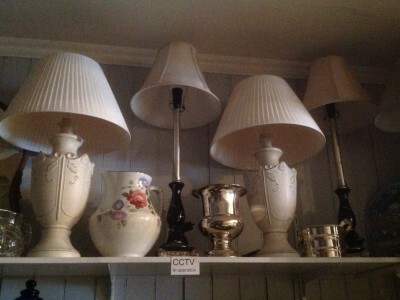 Ever changing selection of table lamps. 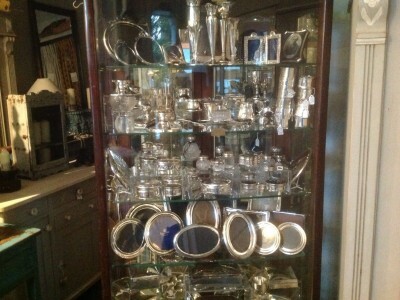 Selection of antique silver, gifts for all occasions. 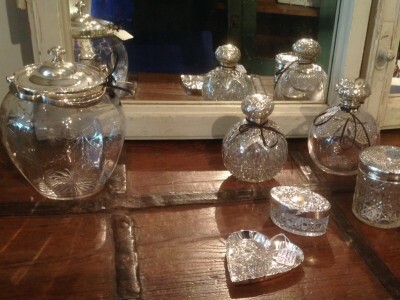 Antique silver perfume bottles and dressing table jars.